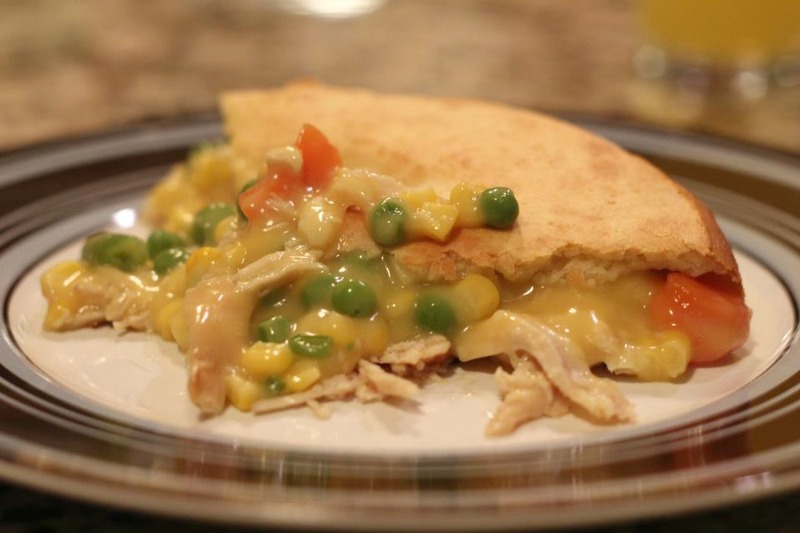 Mmmmm chicken pot pie. So classic, so hearty, so American. And now, so simple and healthy too! Yup, this is actually a Weight Watchers Recipe, but it doesn’t skimp on flavor. This recipe uses rotisserie chicken, and it is so good! The juicy, roasted taste adds a lot to the pot pie. Plus, you’ll have lots of rotisserie chicken left over to use for other meals. Which is awesome. Cuz rotisserie chicken is delicious, y’all. Combine diced chicken, vegetables and soup in a sprayed baking dish. Combine Bisquick, milk & egg sub. Pour over chicken mixture.